Harborough is a district in Leicestershire, with Market Harborough being the area’s main town. Approximately 90,000 people live in Harborough, while there’s around 23,000 in Market Harborough. At My Home Move Conveyancing, we’ve been improving our knowledge of local property markets like in Harborough since 2001, allowing us to offer our clients in the area a specialist, fixed fee conveyancing service. You’ll need to instruct property lawyers to complete the legal work on your behalf when buying or selling property in Harborough. 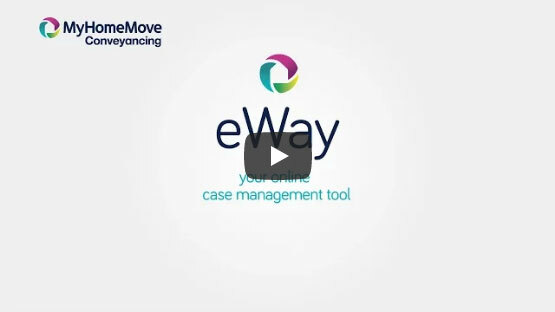 When you choose My Home Move Conveyancing to be your Harborough conveyancers, you’ll reap the benefits of our award winning customer service, innovative use of technology and positive approach to everything we do. Our conveyancing service comes for a fixed fee, meaning there are no hidden costs to add to the stress of moving, and you can plan exactly how much you’ll be paying from the outset. What’s more, if you don’t end up completing for some reason, you won’t have to pay us a penny in legal fees. We assign all of our clients a dedicated conveyancer, who’ll act on your behalf from start to finish, providing you with clear updates on the progress of your case, a consistent point of contact, and a high level of expertise. At My Home Move Conveyancing we’re proud to supply our conveyancing services in Harborough to homebuyers across the local area, from those looking for something in Market Harborough to nearby Great Bowden, Lutterworth, Broughton Astley and Kibworth. The average house price in Harborough is £256,622, while the overall average sale price in Market Harborough during the last 12 months was very similar at £259,868. Most sales involved detached properties, which went for £360,775, while terraces fetched £193,768 and semis £236,115. Market Harborough was founded by the Saxons as a small village sometime between the 5th and 11th centuries, while the district of Harborough was formed in 1974. Bordering Leicester’s urban area to the north, the district is mostly rural, with plenty of lovely countryside to explore if you love being outdoors. Despite being rural, Harborough is served by a good network of A roads such as the A6 and A47, which can be used to reach other parts of the local region. The M1 motorway passes through the west of the district, close to Lutterworth. To get to Leicester, there are trains from Market Harborough which take just over ten minutes, perfect for commuters to the city. There are plenty of schools in the area for families with children to take into account, with local primary schools including Hallaton CofE, Bringhurst Primary, Foxton Primary and Little Bowden School. Choices at secondary level include Welland Park Community College, and The Robert Smith Academy which caters for children aged between 14 and 19. Rates differ across the council area due to parish precepts. Figures are for the largest conurbation, Market Harborough.